1.1 What is Trailer Park Boys: Greasy Money? 1.2 Are any cheats or hacks for Trailer Park Boys: Greasy Money real? Trailer Park Boys: Greasy Money Hacks are something that a lot of people are looking for. The reason for this is because they want to obtain free Hash Coins. Hash Coins are the premium currency used in Trailer Park Boys: Greasy Money. These Hash Coins are very important because they can be used for time skips and trunks. These Hash Coins can be obtained by purchasing them from the Google Play Store or the App Store, but they can be quite expensive. Therefore it’s not surprising that so many people look for ways to cheat in Trailer Park Boys. However, while there are many websites out there that offer cheats for Trailer Park Boys, do any of them really work? In today’s post we’ll reveal the truth about Trailer Park Boys Cheats. But before we do that, let’s go over the game itself quickly. 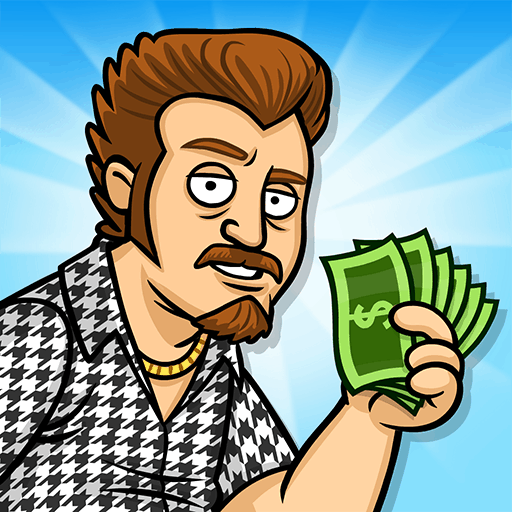 Trailer Park Boys: Greasy Money is a game for Android and iPhone that was released in 2016 by Eastside Games. The game is based on the popular Canadian Television Series Trailer Park Boys. The game is quite popular on both platforms with millions of downloads. The reviews for the game are also quite positive with an average rating of 4.7 out of 5 stars on both Android and iOS. In Trailer Park Boys: Greasy Money you manage businesses in the Sunnyvale Trailer Park. You can upgrade those businesses to get more customers and make as much money as possible. You can collect cards, cash and complete challenges to open trunks which contain nice rewards. There’s also boss fights which require you to tap fast in order to defeat them. In addition, the game has a story line which you can complete which has a lot of funny cutscenes. The game is an Idle Game comparable to Idle Miner Tycoon, so if you’re a fan of idle games and the Trailer Park Boys series then this is a game you should check out. While the game is a ton of fun, there’s a big need for hash coins. Some of the reviews even state that you could spend $100 on the game and still get nowhere. That’s why so many people are looking into Trailer Park Boys: Greasy Money Cheats. Are any cheats or hacks for Trailer Park Boys: Greasy Money real? When we were searching for Trailer Park Boys: Greasy Money Cheats we found numerous sites that offered an unlimited hash coin generator. These websites promised that they could generate unlimited hash coins into our account if we simply entered our username and typed in how many hash coins we wanted. We have tested all of these hack sites by following their instructions to the letter but you might be surprised to hear that none of them worked. We didn’t receive a single hash coin from any of these hack sites for Trailer Park Boys: Greasy Money. If you have been looking for hacks for a while then you might have encountered the same sites that we have tested. If you have tried them out for yourself then you know just as well as we do that they’re all completely fake. These websites often look pretty legitimate and sometimes they even offer proof that their hack really works. But do not let this proof fool you, you can easily fabricate it by using video and image editing tools. Unfortunately, it is impossible to hack Trailer Park Boys. But it is possible to obtain free hash coins! 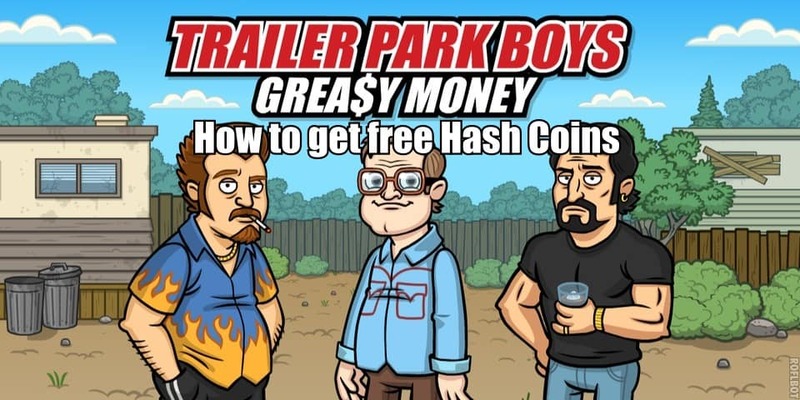 It’s certainly disappointing that using cheat codes in Trailer Park Boys is impossible but we knew that there had to be another way to get free hash coins. We didn’t give up and kept searching and finally managed to find a working method of obtaining hash coins for free. Once we discovered how to obtain free hash coins we immediately wanted to share it with our readers. In order to do so, we have created a guide that will teach you exactly how you can obtain hash coins without paying for them. Our method does not contain some basic information that everyone already knows. It’s a method that most people that play Trailer Park Boys: Greasy Money are unaware of. It’s an insanely powerful method of obtaining free resources. Our guide is available completely for free, we don’t charge you a single dollar to access it. In addition, it works on both the Android and iPhone version of Trailer Park Boys. Stop falling for fake cheats and hacks sites and use our guide instead. We are completely sure that our guide is the only thing you’ll ever need to obtain free coins in Trailer Park Boys: Greasy Money. Click on the button to start.